The Home you are looking for by Lake Palestine! Delightful & Well Maintained in Wildewood lake community. Enjoyable large kitchen & breakfast area. 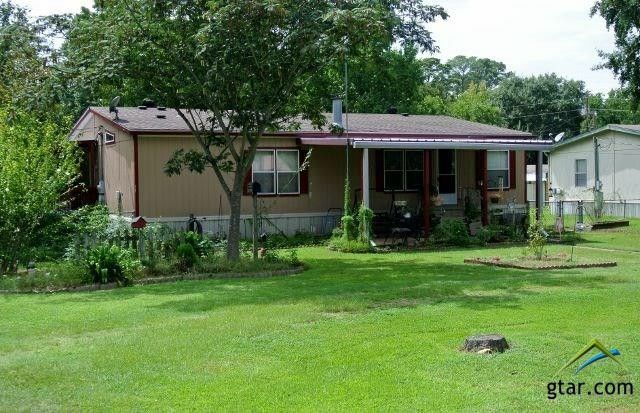 You will enjoy sitting on the front and side covered porches. Floors have been updated with vinyl to look like stone in the Bathrooms and wood in the Kitchen. Lots of Cabinet Space and Storage. Soak the day away in your corner Garden Tub. Enjoy the Stone Fireplace on those cold chilly nights! All Bedrooms have Walk-In Closets. Lanscaped & Fenced Backyard. Boat Ramp, Pool and Playground close to home. Circular and Side Drive. Welcome to your home at the Lake! Directions: From 155 in Coffee City take 3506 (4 miles) Turn R on Big Eddy. Follow Realty Signs to left on Indianola. Sign in yard on the left.